BBG Contracting Group is experienced in the installation and maintenance of modified bitumen roofing. A very popular roof material for flat roofing, Modified Bitumen roofing is replacing traditional built up roofing in many applications. 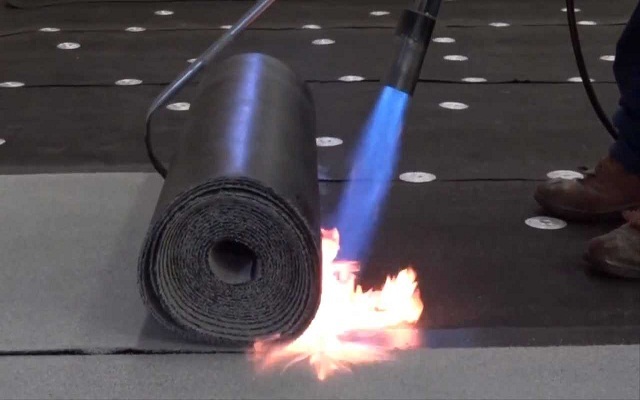 They can be applied by various methods, including traditional hot asphalt, cold adhesives or heat applied. Typical applications have granule surfacing, which can be obtained in several colors and can be Class A fire rated. Modified Bitumen roofing is also available with high reflective Cool Roof surfacing. Tough and long wearing, Modified Bitumen is an excellent choice for most buildings. BBG Contracting Group Provides Modified Bitumen Roofing from Manufacturers like: GAF, Siplast, John Manville, Soprema, and Firestone Building Products.